2826 Jarrard Street | SOLD in West University Place, TX! 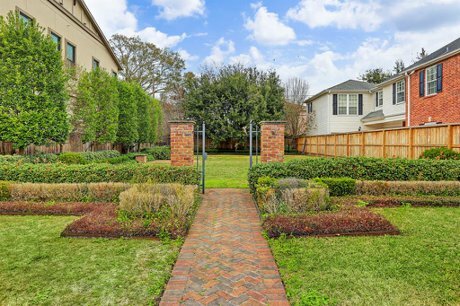 2826 Jarrard Street is a beautiful cleared lot for sale by well-known Architect/builder Craig Hughes. Builder is selling lot. At buyers option, builder will contract for custom build. Ask to see floor plans. Lot size 50' x 105'. Quiet West University location. Cleared and ready for new construction! 50' x 105' cleared lot. Zoned to West University Place Elementary School, Pershing Middle School, and Lamar High School. Please check availability.